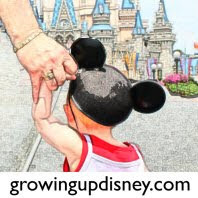 I've talked before (across several different blogs and several different formats) about how much the history of the Disney Parks, and Disneyland in particular have come to mean to me. I didn't grow up near any of the Parks myself, so my love of Disney began with the movies and the animation that I was constantly bombarding myself with. I suppose it only makes sense that eventually that would be bolstered by a love of one of the Parks, as well. When I first moved to Southern California, I loved being in the thick of all of the action that this region brings, but Disney wasn't a part of that for a very long time. 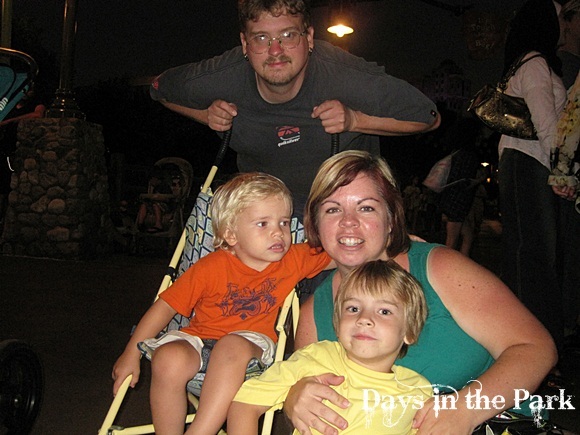 I guess that having kids sort of pushed my wife and I to begin thinking about our (family) "first trip" to Disneyland, and the rest is, in a word, history. Even way back then, though, to me, Disneyland was still just one of those "fun" places to go. It didn't really grab my imagination until a couple of years ago, and I fell head over heels in love with the place. I memorized the maps, learned where everything was and the quickest (read "shortcuts") way to get around. You know, all the stuff I should learn. But I also really began to develop a keen interest in the history of Disneyland: where it came from, where it was, and where it was going. There's just always so much to find out and learn about. 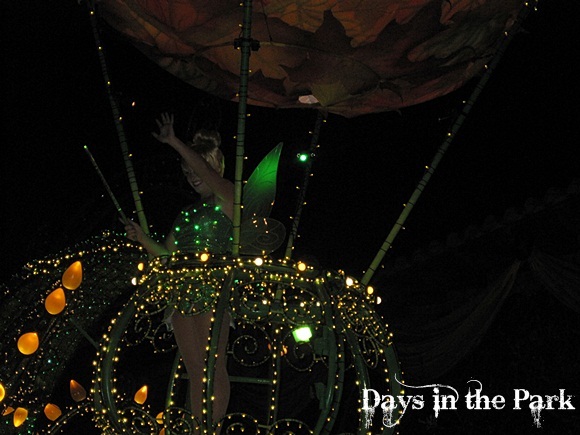 Lately my imagination (and hence my sorrow) has been gripped by one such Attraction that played a pretty substantial role in the history of Disneyland; the Main Street Electrical Parade. Most people are probably familiar with the parade if they know much about Disney at all (although at one point even I didn't know that it was borne as an off-shoot of a Disney World Attraction from the 70s), and it's not hard to make the leap and see just how important it's been to all of the Disney Parks worldwide in some form or another. Tons of fantastic electrical synthesized music (I listen to a lot since I have it in my music collection), loads of amazing floats with thousands of twinkling lights, and lots of iterations and changes throughout the years led it to have a fantastic run at Disneyland spanning over two decades, and it even eventually landed inside Disney California Adventure Park for another decade almost, which is where I finally had the privilege of seeing it for the first time. To a large degree, I'm much different than my Disneyland peers, because it hasn't been a part of my life for very long. I personally think that I've come a long way in the past several years, but even I know that I have loads to learn yet, and sometimes my lack of knowledge gets me in trouble with them. But that's okay! It's all a part of the process! Heck, even my wife and friends tell me all about how they spent time at Disneyland as kids, and remember such Attractions now long gone such as the Main Street Electrical Parade, or my wife's personal favorite, the Country Bear Jamboree. It makes me extraordinarily jealous to think of all of that history that they've experienced over the past years that may not be around anymore, and might never return. 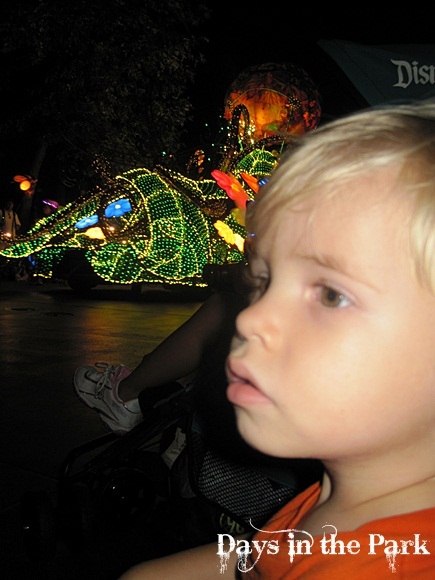 But one of my favorite memories over the past couple of years, looking back as my love and knowledge has grown, was the opportunity to see the parade at Disney California Adventure Park with my children back in 2009; the last full summer it was in California. It was a moment I think I'll always cherish because, knowing what I know now, there's simply no guarantee they'll ever have the chance again. Looking back over the pictures and seeing how focused they were on everything, and hearing how much they still talk about it, is something that's worth just about anything. And when they're old and ugly like dad (just kidding, they'll never be this ugly), they'll be able to say they saw something pretty darn cool and important to Disneyland history. I think and hope that it's something that they'll always remember as fondly as I do. 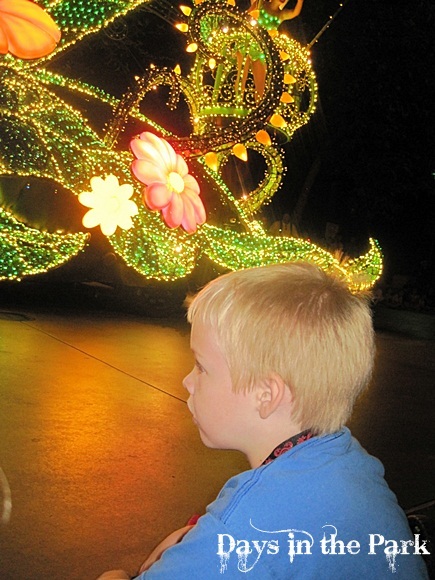 If there's one thing the Main Street Electrical Parade has taught me, it's to cherish the memories and what you're experiencing at the Parks now, while you still can. 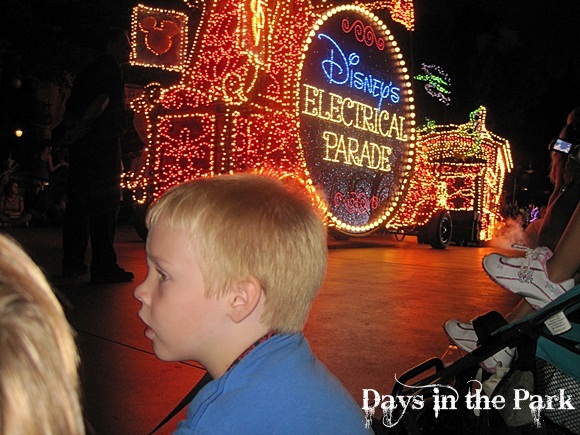 I count myself lucky that I was able to see the parade in some form, even if it wasn't actually on Main Street, U.S.A., but consider it unfortunate I was never able to see it as it was intended, and my kids may never be able to, either. So, I guess if there's a lesson to be learned here, it's this: Always enjoy and cherish what you're seeing while you're at the Disney Parks, whichever it is, because you just never know which part of this Disney present may be becoming a part of that Disney history we all love so much, and what an amazing experience and feeling it should be to think that you just might be a part of all of that. But that won't stop me hoping that the Main Street Electrical Parade will once again grace the place it was born on Disneyland's Main Street, and you can bet your ever-loving dollar if it does, I'll be one of the first people in line for it, cheering at the top of my lungs, because as we all know, history does sometimes have a knack for repeating itself. Will the Real Magic Kingdom Please Stand Up? It really seemed right that one of the few Disney World memories I had from when I was a kid (the Main Street Electrical Parade), was one of my oldest daughter's first experiences at Disney World. It had been 10 years since I'd last seen it (most of that time it was in California) and was also one of my husband's favorite memories growing up as a Disney kid. It was very nice to watch history repeat itself, and I hope many generations to come also have this opportunity. I love this parade! We saw it at Disneyworld in Orlando this past spring. I think that is one of the reasons I try to get as many photos as possible-you just never know when things are going to change or be gone forever.